his interpretation of Concerto de Aranjuez with Nice City Orchestra. several Japanese universities and colleges as a visiting professor. Collection of Japanese Poems Ancient and Modern) to mark its 800th anniversary. Hashizume had a keen interest in music from a young age, which lead him to study in Europe After spending almost a decade there, in Scotland, France, Belgium, and England. 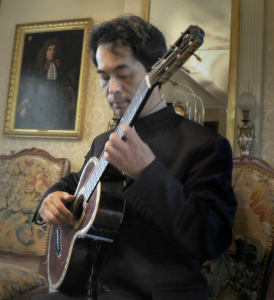 Hashizume studied composition and Classical guitar performance, returning to Japan to start professional career as a Musician. Although trained as a guitarist, the guitar is only one of many instruments for his composition. Hashizume uses various methods for composition, which is not defined only by his training. He relies on numerous instruments from a variety of sources, for instance, musical instruments, human voices or electric and physical sounds inspire him to create music in different styles for various formats. His works include some collaboration with media artists. 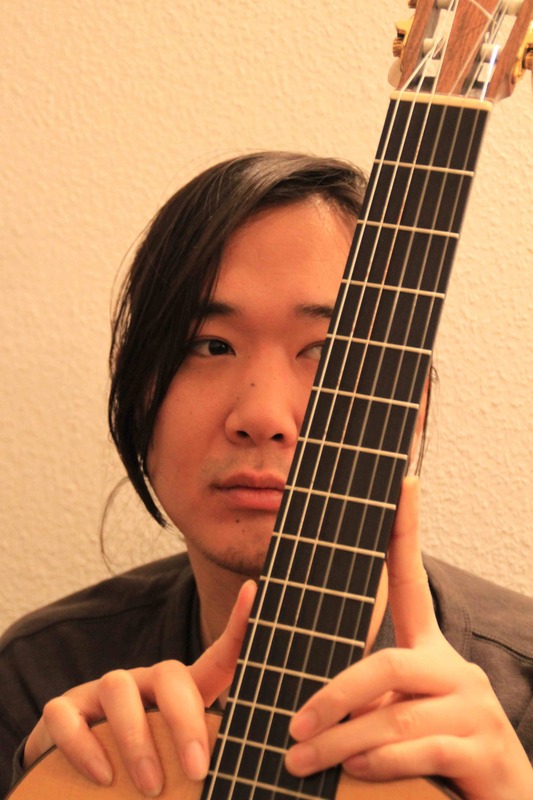 He studied classical guitar with Masanobu Nisigaki, Ako-Ito Dorigny, Laurent Blanquert, Hugues Navez, Santiago Abadia Parada and Olivier Chassain, and chamber music with Igor Semenoff at Conservatoire National de Region de Nice (France) and Conservatoire Royal de Bruxelles (Belgium) where he obtained bachelor degree, and composition with Daniel Capelletti, Kazuko Okada, Noriko Nakamura, Haris Kittos and Dai Fujikura at Conservatoire Royal de Bruxelles (Belgium), Royal College of Music (London) and Kyoto City University of Arts (Obtained Master’s Degree). 2013Tokyo Katsushika Composition Competition (3rd and Public Prize). 2013 St. Patrick’s college international Compoers’ Forum, Dublin. and in 2014, selected artist for the Feldstaerke International 2014 in Essen, Marseille, and Kyoto. Born in 1983. 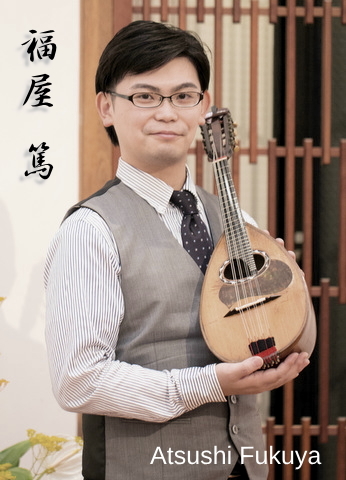 He started to play mandolin at his high school, He has studied mandolin with Kenichiro Kamata, Kazuhiko Takahashi, and solfege with Yukino Natsukawa. and the 2nd Prize in 20th Japan Mandolin Solo Competition in 2006.